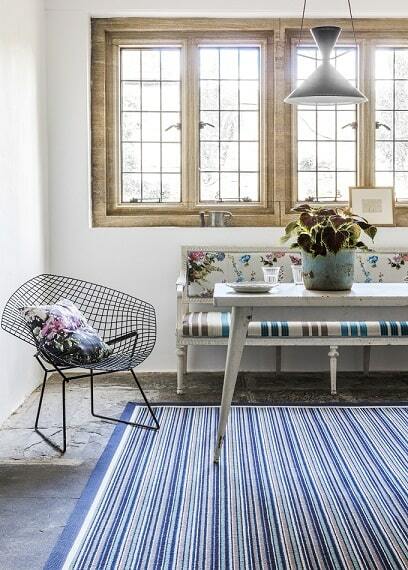 Did you know you can buy made to measure rugs from us at our flooring showrooms? While we’re well known for supplying and installing wood floors, laminate, LVT and carpet, we can also work with you to design your very own bespoke rug. Read more to find out more about some of the different rug options available from Flooring 4 You. Hard floors are very popular throughout homes – we can tell by the fact we probably install more hard floors than we do carpets. But, an element of luxury and warmth is lost especially if underfloor heating hasn’t been installed beneath. Yes, LVT floors are much warmer than stone tiles and wood, even on a cold day, but there’s never any substitute for a bit of softness and warmth between your toes. And that’s where a rug comes in. Without compromising on the fantastic overall finish of your parquet engineered floor or stone effect LVT tiles, a rug can take up as much or as little space as you want. You might want one beneath your feet by the sofa, in an area where the children play or as a centrepiece to finish a room. Showing: The Lisboa rug from ITC Natural Luxury Flooring, made from 50% viscose and 50% wool, it’s soft, comfortable and comes in 4 fashionable colours. This rug is available to buy in three sizes, or you can have one made to a size to suit your space. Much like the Lisboa rug in the picture above, ITC Natural Luxury Flooring make stunning large area rugs in a range of super soft textures from faux silk, banana silk, viscose and wool. You can buy one of their rugs off the shelf in a choice of three sizes across their range. But if they won’t work with your space, in some cases, you can also order one to bespoke measurements. The Dutch based company manufactures the rugs out in the Netherlands where they also make the colour co-ordinating suede effect tape edging, which you can choose to work with your bespoke rug. If you’re looking for an on-trend velvet rug, their rugs are definitely worth asking about. Showing: Feeling like the softest of velvets beneath your feet, this is the beautiful Velvet rug from ITC – made from 100% banana silk, it’s an eco-friendly fibre that exudes a luxury appearance. If you know Alternative Flooring, you’ll know they offer a bespoke rug-making service, including rugs made from their Quirky B patterned collections, some of which have been designed in collaboration with leading interior and fabric designers. What’s great about the rug service from Alternative Flooring, is that you can get a visual of what your rug can look like by using their ‘Make me a rug’ online rug builder on their website. 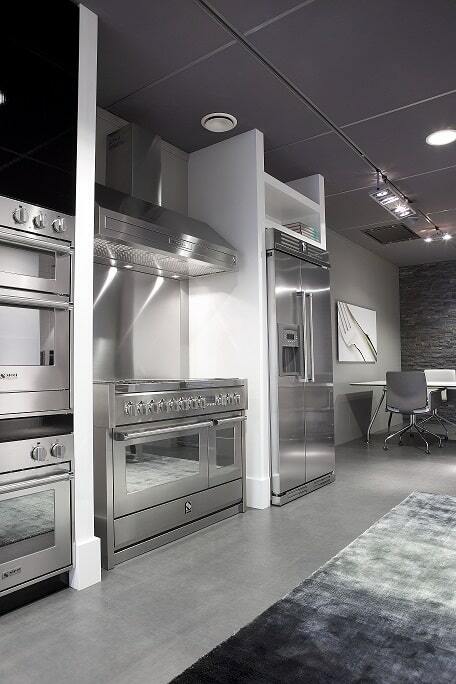 Better still, is to come into one of our showrooms (where there’s all the samples of Alternative Flooring products) and touch and feel the different floorcoverings and trims. Alternative Flooring offers everything from all-natural products such as sisal and jute to patterned wools, bold stripes and even their new faux carpets, including the new Boutique Zoffany for Alternative Flooring collection. If colours, patterns and great textures are what you’re looking for in a rug, you should come and ask us about an Alternative Flooring rug. Showing: A wool rug made from the Alternative Flooring Rock’n’Roll collection – this is Mr. Blue Sky with a double border trim in Cotton Porcelain and Jot Denim, a great example of designing your very own rug, right to the last detail. Natural is everything when it comes to floorcovering from Crucial Trading where you’ll also find creativity at the heart of their designs. The company can create bespoke area rugs from every floorcovering they have available, complete with a choice of trims in different colours and textures and they have an online rug builder on their website where you can get an initial look at ideas. But whether you opt for one of the organic materials including sisal, sisool (a mixture of sisal and wool), seagrass and jute, or even one of the wools, it pays to visit either our Knutsford or Timperley showrooms to touch and feel the different textures before you commit to your rug. We can also advise the best price for you, as our RRP’s are better than buying direct from the manufacturer! 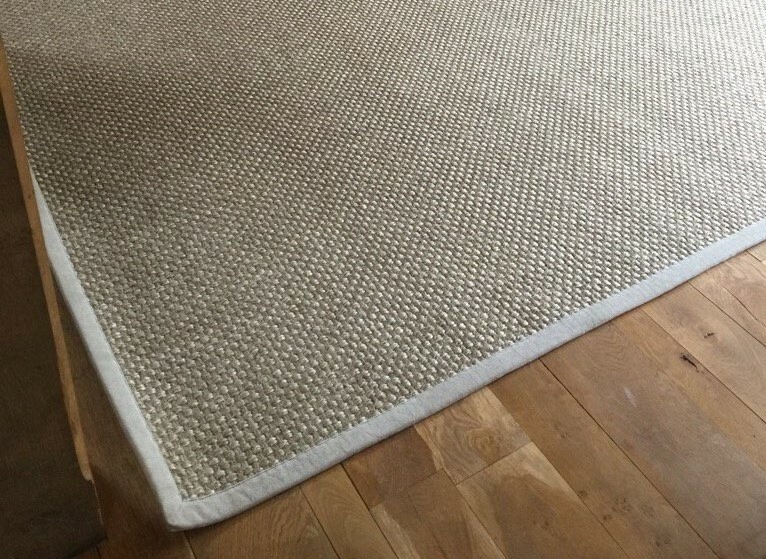 Showing: A natural sisal rug with complementary coloured trim from Crucial Trading. The rug was designed at our Knutsford showroom with the customer, before being delivered and installed to their home in Alderley edge, once made. As well as those featured here, there are many other bespoke rug options with Flooring 4 You, depending on the texture and colour you want, and of course your budget. You can go for a premium faux silk rug from Sylka Carpets, hand-woven rugs from Jacaranda Carpets or a wool rug from Edel Telenzo. Call in to one of our showrooms to start designing your rug – simply bring the measurements and some colour swatches and we can inspire you from there.